Overall great experience. The Sales guys were a little bit pushy, but in my experience all of these companies are. I was after a budget system and the price was hard to argue with. Originally quoted for 18 panels (300W CSUN mono) but was increased to 20 for free then 22 for $100. Install was booked 9 days after $100 deposit paid, and the installers came that Sunday so all up 12 days to get the system installed from deposit. We have a split level house with a skillion roof so was always going to be tricky install, but they did a good job, some external conduit was required but I don't think any install would have been able to get around this. My advice to anyone building a split level home (or pretty much any 2 storey home) and thinking about solar in the future is to get the builder to run a conduit and draw string for the DC cables. DO NOT LEAVE A DEPOSIT AS THIS IS JUST GIVING AWAY YOUR MONEY. I PAID $100 DOLLARS AND HAVEN'T HAD CONTACT WITH THEM SINCE. I HAVE TRIED ALL PHONE NUMBERS SENT OVER 20 EMAILS NO RESPONSE. 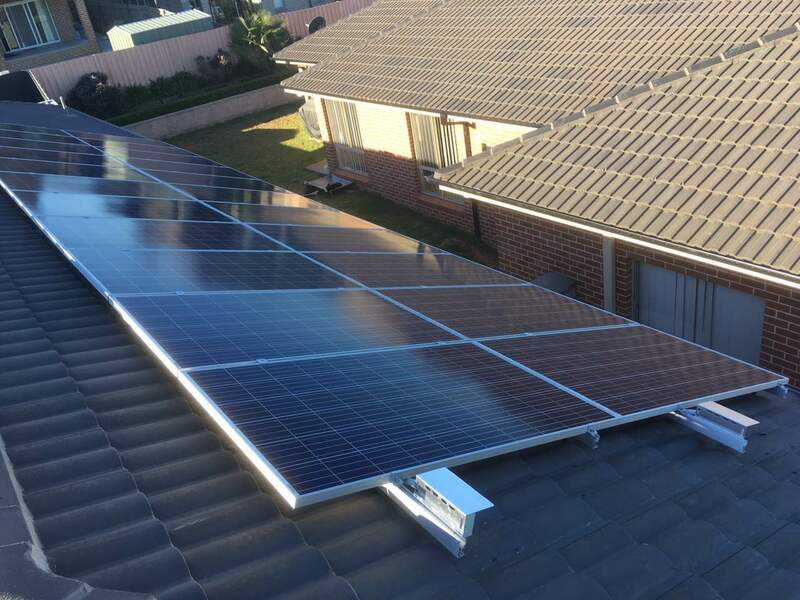 Having no experience of Solar Power installation, it is impossible to make any comparison. The system was installed quickly and efficiently. The paperwork took another two weeks. I asked for a good inverter, Fronius, which added $500 to the approx $5000 quoted. Until I have a feed-in meter installed and start receiving bills I will not know the value except in environmental terms.